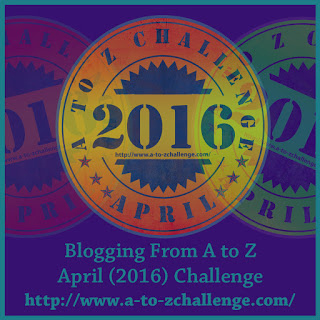 Entire April I participated in the April A-2-Z Challenge which is organized by Arlee Bird. It is a blogging challenge where you are supposed to blog 26 days of April barring Sundays and each day marks an alphabet starting from A. This post is about my experience with the challenges and the after thoughts. It was the first time I participated in a posting challenge, earlier I had participated though it was a 7 day nature photo challenge where I was nominated by a fellow blogger and it was indeed a welcome experience to participate and complete it. We were supposed to post few photographs relating to nature and write a few lines about it for 7 days. It was fun and I enjoyed it and for me it was easy to accept it as the duration was for 7 days. Will I be able to complete it? The duration is a month and I am busy particularly in April. Trust me these are the questions always come and haunts whether it is a week or a month’s challenge. One just needs to stay focused in his mind, do planning, stick to his commitment and have passion which will take you till the end. I enjoyed a lot participating in the challenge and it was a great learning experience from me. I picked up a theme (blogging about my favorite music/band/songs) which I though was very mundane and believed it will be easy for me to write about it. I had never expected it will get so much response, appreciation and attention and in fact I ended up connecting with many people across the globe. In return I too had connected with many bloggers and commented across various posts. It was good to get people interacting and discover your blog. 1-When you participate in the challenge (any challenge) do choose a theme as it makes you easy to concentrate on stuff you will require to post. 2-Once the theme is ready preparing a worksheet to lay down the activity you need to do and get your content ready. It is not that easy to blog on the fly as you never know what tomorrow has in store and you might have a particular day messed up totally. 3- Be ready with 4-5 advance post in case of a monthly challenge and save them in draft mode. 4-Always do a preview before you hit the publish button. 5-Be prepared in case you are on a planned tour as you might go out of the connected world. This actually happened with me as I had a planned visit to a reserved forest area for some leisure. While we were some miles away to enter the restricted area the mobile signals started to drop and I did my last and final post of Z. Thereafter the entire day I was disconnected from all sorts of communication. If my content was not ready and in draft mode in WordPress it would have been difficult for me to complete the challenge. I used the WordPress app to publish the post from the draft mode. 7-The most important point Connect and Interact: Why would others be interested in reading your posts if you don’t indulge with theirs. So it’s all about connecting and socializing. Do respect comments and likes and say a word of thanks. 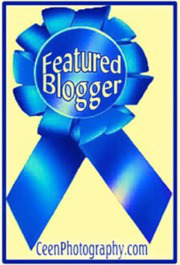 Show your appreciation by visiting their blog post too and what you thought about it. The best part when you complete the challenge is that you feel quenched, the feeling is immortal when you complete the challenge and able to survive it despite all odds. Looking forward next year for another happening April with new themes and new set of bloggers. Thanks to the A-2-Z team for all their co-operation, organizing and hosting this and re-tweets. I am sure you must have sought inspiration from a Guru, artist, teacher, your parents or a public figure, however when it comes to music this is one of the songs I would recommend to tune on. This was probably one of the finest songs by the band Chicago and it shot up to the #1 position. In my life – Dad, my wife and my children are the biggest source of inspiration for me and I always look on them to stay positive – Yes you bring feeling in my life, you are the inspiration. I heard the song in a radio program long time ago. It was the time when the significant change in the media and electronics and technology made this thought possible and the song got composed with the belief that the stars will not have their due recognition. This song is from The Buggles, an English band and it got them huge commercial success. Albeit now the radio and TV stars are getting more recognition through Radio FM channels, sitcoms, live shows, live events, TV challenges and talent hunt’s. More people are opting for TV and even commercially successful artist are turning to it to rebuild their fame. It is so prevalent; just see the popularity of series like GoT, Friends, Sherlock etc. although I have seen only the Sherlock seasons. My connect is attributed to the daily travelling which gets a breather with the old classics played by a FM on the same time I leave for work and vice versa. By far this is the best musical film ever made and it will continue to be. The Sound of Music – the best sound. I love it when my daughter sings Raindrop on roses and whisker on kittens, they created an epic and history was made with the release of the movie and songs. I saw the movie on a TV channel.